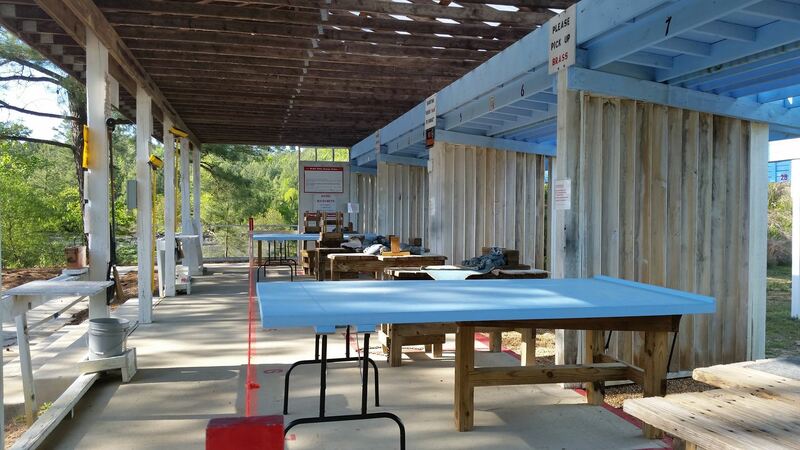 The Rifle Range provides Three+ position (prone, bench, kneeling/sitting, and standing/off hand), 8-station, fully-baffled range with target-frames at 25-, 50-, 75-, and 100 yards for paper targets (110-yards for steel matches). Capable of centerfire cartridges up to but not including .50 BMG. 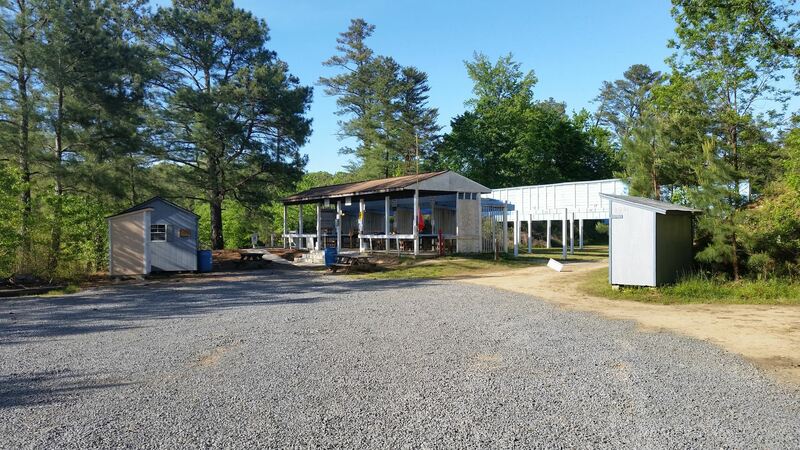 Firing-line shed offers shelter to the shooters. An AED is available at this range. 1. All shooting from sitting and prone must be done utilizing the shooting platforms provided. There are currently platforms available for each lane. Two will always remain in place unless there are not enough lanes for bench shooters. Please ensure that there are two in place when leaving the range so the next solitary prone shooter won't have to set them up alone. 2. 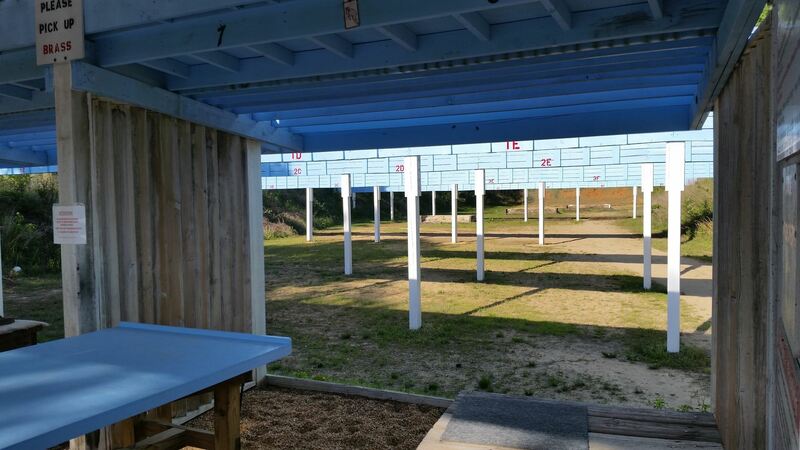 All shooting done from below 30" will use the platforms. All matches/supervised events will use them UNLESS that event requires a transition from standing to seated or prone as part of the event's course of fire. The firing line is wheel-chair accessible. Two weeks starting the Saturday after Thanksgiving for deer hunting season. 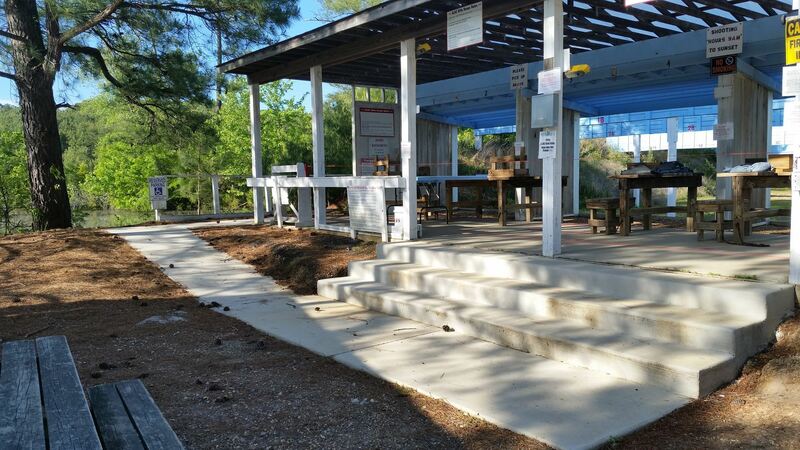 Prone Shooting Platform on the Rifle Range.